Why adopt a rescue pup or dog? Why not buy one from an ad on the internet or from a pet store? Why not buy one from a breeder? Why would I adopt a dog rescued from another Country when there are so many right here in Canada that need homes? There are many reasons – all of them humane. Each time a dog is bought from an ad on the internet, a homeless dog is left without a home. Many pet stores rely on both puppy mills and backyard breeders. Like the internet, they rely on impulse buying. A child ogles a playful puppy through a pane of glass, and that old song, “How Much Is That Doggy in the Window?” begins. Few parents can refuse the insistent “please!” of their child. 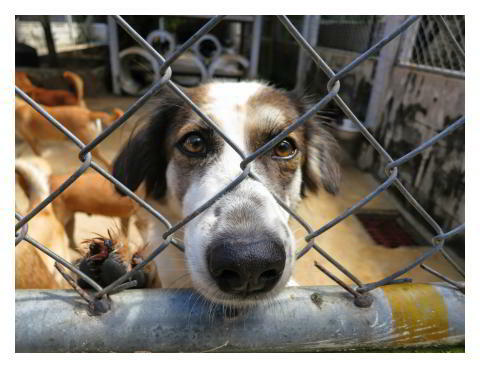 Each time a puppy is bought from a pet store, a surrendered dog languishes in a shelter. It may seem safe to buy a puppy from a breeder. But there are no laws regulating who can and cannot breed. There are no inspections of their facilities. Even a certificate from a recognized kennel club means only that the breeder has “agreed” to its code of ethics. A piece of paper is simply that: a piece of paper. Each time a dog is bought from a breeder, an abandoned dog moves closer to death in a pound. Why then, adopt a rescue dog? There are thousands of healthy, happy and balanced dogs available from rescue organizations around the globe. Contrary to popular belief, they include purebreds as well as cross-breeds and mixed breeds. And for those intent on a specific breed, there are rescue groups specializing in just one breed. Adopting a rescue dog is saving that dog’s life. Rescue organizations are often the last refuge for abandoned and abused dogs, surrendered and senior dogs. They’re often a dog’s only escape from a puppy mill. Saving the life of a dog by adopting from a reputable and legitimate rescue organization is meaningful, and you’ll be rewarded by the love and devotion of a dog whose world you changed. If everyone adopted from rescues, we would not have shelters full of unwanted and unloved dogs facing euthanasia on a mass scale every day, and the puppy mills would be put out of business. Those that survive the journey are transported to primitive abattoirs that should be called torture chambers. There, these poor animals are not just killed. Instead, they are often systematically and brutally beaten, skinned alive or boiled alive. These horrors are inflicted because of the barbaric belief that when they are in pain, their bodies release adrenaline that softens their meat and gives it special properties. Terror, torture, then a painful death. This is quite possibly the worst form of cruelty humans could inflict on innocent animals. Thankfully, there is growing awareness around the world of the savage cruelty inflicted on these millions of dogs, and of the need to join as one voice to put a stop to the suffering. Organizations such as Soi Dog Canada, a division of Soi Dog Foundation, are dedicated to putting a stop to this terrible cruelty. 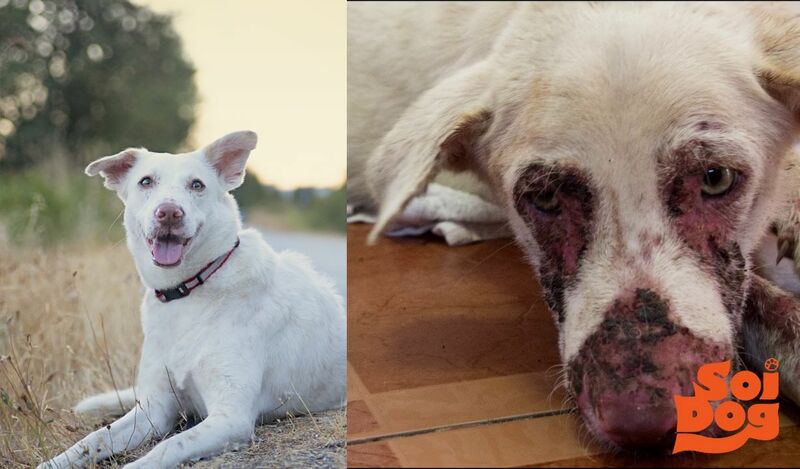 There is a shining light at the end of this very dark tunnel, as many thousands of dogs have been saved from the dog meat trade, and Soi Dog’s work with the local authorities, governments, and citizens, is having an effect. Soi Dog rescues thousands of these dogs each year and is often their only hope. Soi Dog Canada helps facilitate adoptions of these dogs to Canada, and hundreds of them now are living new lives of happiness, safety, and love, in caring homes across the country. Without this help from Soi Dog and from other rescue organizations working hard to create change in the way dogs are viewed in Asia, many millions would continue to die horribly, being treated with complete indifference to their suffering. It’s important that these dogs are thoroughly vetted prior to coming to Canada, which they are. Responsible, ethical, and transparent rescue work is crucial to the success of rescues being able to successfully adopt dogs out to good homes. Why would somebody adopt a dog from overseas if unwanted dogs are being destroyed in their own countries? The dogs in Asia – their lives are at risk every day. They face the very real threat every day of being captured (many as stolen pets), and taken to the slaughter houses. There are many countries around the world where the need to help dogs that are suffering, is massive, and on a scale not seen in North America. The sheer number of dogs suffering in Asia and other countries where dogs are persecuted, abused/neglected, and often treated as worthless trash, bares no resemblance to anything found in the West. Quite simply- dogs are found every day in conditions that would make local news if seen in the West, and the need for help is massive. In most Western countries you do not see stray dogs on such a large scale. Certainly there are animal cruelty and neglect cases in Canada and it’s important that we also help these animals and take steps to stop animal cruelty here. Most cities in Canada have authorities, many rescue groups, and organizations such as the SPCA, to help. An animal who is suffering feels the same pain regardless of what country it lives in. In most of these foreign countries where millions of dogs suffer, there are far fewer organizations, less money, and less government support for street dogs and cats than in developed countries. Because of the lower cost of living in most of these countries than in the West, a donation can have a much greater impact than in a Western country. There are no national organizations like the SPCA or ASPCA in many of these countries and laws are only just beginning to be made to help protect dogs suffering extreme cruelty. There are many differing and often conflicting views in the animal welfare world, these often resulting from a lack of understanding regarding the missions of and the resulting work performed by various animal welfare organizations. At the end of the day is an individual’s choice where to rescue from. The important thing is to save a dog, not buy one.